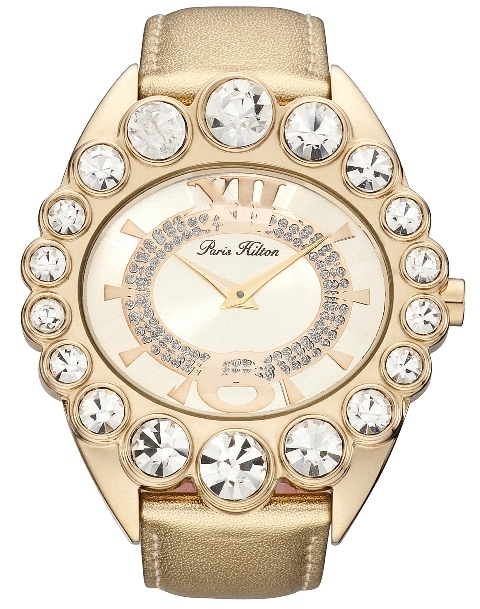 Beautiful design from the Paris Hilton CROWN collection. Opulent and glitzy with bling to spare! 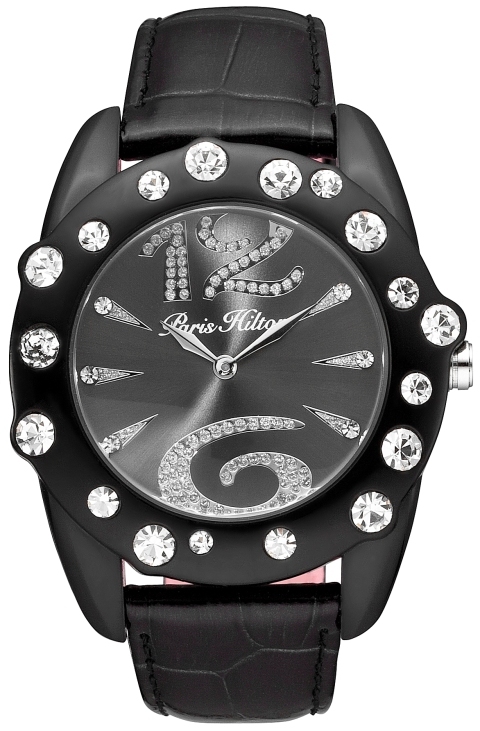 East/West oval shape dial, completely surrounded by 18 clear stones. The beautiful sunray champaign colored dial has the number ‘6’ at the 6 o’clock position and the Roman numeral ‘X11’ at the 12 o’clock position. Beautiful Gold/Gilt Leather Band with IP Gold Stainless Steel case. The CROWN from Paris Hilton is sophisticated, elegant and fit for a queen! Wear it and be wonderful. 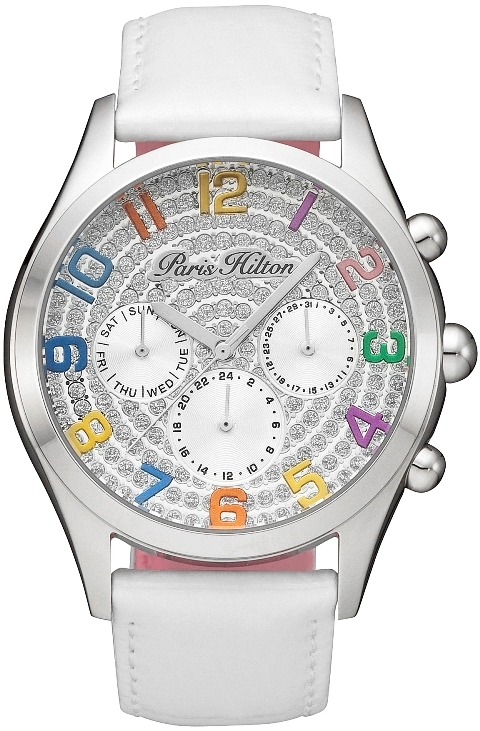 Brand new BEVERLY collection from Paris Hilton will carry you away with the rainbow of colors and silver fairy dust dial! The BEVERLY matches everything in your wardrobe and will take you from jeans to party dress! 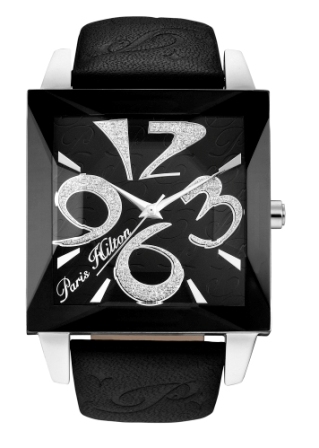 In addition to the great look, the bold and colorful numbers are easy to read, with hour, minute and second hands. The multifunction chronograph gives the BEVERLY a sophisticated edge. Wear it and be wonderful!